Hartman Companies is searching for career-minded Landscape Maintenance Foreman to join our team in Victoria, MN. We are a full-service landscape company that works in both residential and commercial settings. We are looking for reliable and motivated workers with a willingness to learn. A valid Class A driver’s license a plus but not necessary. Come join a great team that takes pride in their work and employees! This is a full-time seasonal position with advancement opportunities. Please download and complete the work application below. Submit it with your cover letter to: cwood@hartmancompanies.com, or mail to: Hartman Companies, 8099 Bavaria Road, Victoria, MN 55386. Join our growing team at Hartman Companies! Located in Victoria (SW metro area), we’ve been a part the landscape industry since 1971 and earned a reputation of excellence in both design and construction. We service the entire metropolitan area assisting customers to bring their outdoor space to life, fitting their individual lifestyle, personality, and budget. 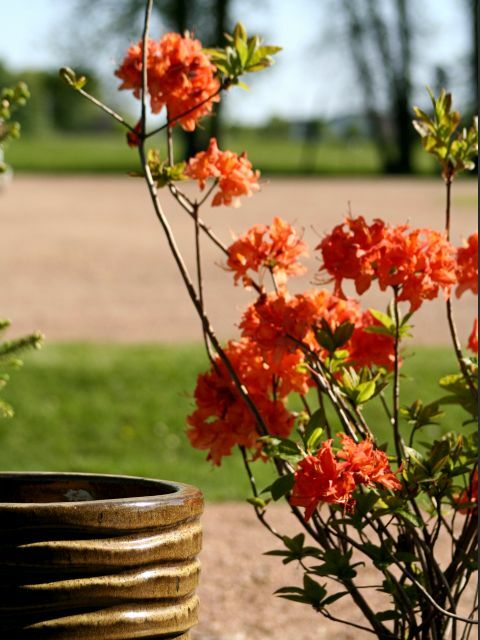 Our areas of expertise include unique custom designs, hardscaping, boulder walls, patios, walkways and driveways, fire and water features, plantings and follow-up maintenance. We are adding to our established team, and currently looking for a creative Landscape Designer who is well versed in plant material, with strong communication skills, organizational skills, and people skills, to join us. We’re searching for a Designer who has the ability to communicate with customers, create a unique design for them, and then work as a liaison between clients, crew leaders, and subcontractors, throughout the project implementation. We hand-pick and select our plant material, and pay great attention to every detail for every customer. If you are looking for a rewarding career with an established company, and have great creative skills and people skills, then this job may be for you. Hartman Companies is currently accepting applications for a seasonal landscape trucker. Hartman Companies is a full service residential and commercial landscape company serving the greater Twin Cities. We are currently looking for a hardworking, motivated person who takes pride in their work and value working in a team environment. We work in a fast paced industry which can mean long hours. Attitude is everything and we seek candidates who are willing to work together to provide a high level of service. Primary responsibilities for this position is hauling equipment and landscaping materials (trees, plants, rock, mulch, etc) to various job sites. We are looking for a candidate with a Class A CDL along with the ability to operate a skid loader. Ability to operate other equipment such as an excavator, front end loader would be a plus. In addition to hauling, this position would assist other crews with various landscaping projects as needed. Experience working in landscaping, construction or similar industry is helpful. Hartman Companies, located in Victoria (SW metro area) has been a part the landscape industry since 1971. We are currently looking for responsible and hardworking LANDSCAPE FOREMEN to join our team. Applicants should have the ability to manage crews and complete landscape installations with the highest quality. The position requires physical labor, lifting of 50 lbs, and may require working under/in moderate weather conditions. Some overtime and travel may be necessary. Installation includes HARDSCAPE (retaining walls, paver driveways and patios, natural stone, retaining walls, etc…), SOFTSCAPE (planting trees, shrubs, and perennials, stone and brick edging, rock and mulch, etc…), and EARTH WORK (grading, drainage, sod, etc…). Hartman Companies is searching for career-minded Landscape Laborers to join our team in Victoria, MN. We are a full-service landscape company that works in both residential and commercial settings. We are looking for reliable and motivated workers with a willingness to learn. Ability to operate machinery (ex. Excavator, skid loader) and a valid Class A driver’s license a plus but not necessary.